Isn't it funny how they work? How the things you've done in the past can affect what happens to you in the future? I'm kind of amazed by them, and it's so fun to see connections made, strengthened, and evolve over time. I was thinking about that after a chat on skype yesterday. And with that being said, I have some big news to share with you next week, and I can't wait to spill the beans. But, unfortunately, I must, but just for a bit longer. In the meantime, the photo above is an example of another connection. 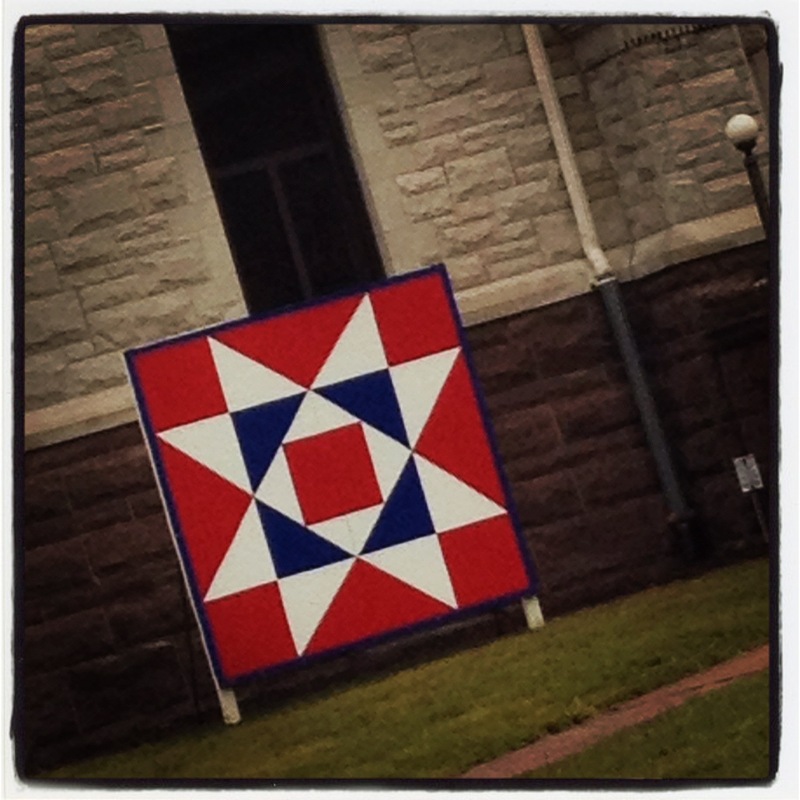 It's an Ohio Star barn quilt that sits outside of the city hall building in Xenia, Ohio. We drove past it yesterday morning, so I grabbed my phone and took a quick shot from the car. 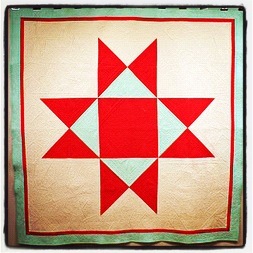 I've had Ohio Stars on my mind since I made this quilt. That is my modern twist on the Ohio Star pattern. It was made as part of a challenge with my modern quilt guild for an upcoming exhibition that's taking place this spring. And I loved that I saw the Ohio Star barn quilt while driving, just another little connection that ties things all together. Connections remind us of just how small our world really is. Love Skype, btw.